In the last year, Batman has been keeping a quiet, watchful eye over the citizens of Gotham. Out of fear and desperation, the organized crime syndicates turn to a man known only as "The Joker" for help killing the Batman. Being a lunatic and a genius all at the same time, The Joker is only looking out for his best interests and has only one thing on his mind, making the world suffer. When this film came out, it was a guaranteed juggernaut. With the incredible trailers, and the tragic death of Heath Ledger, The Dark Knight had expectations through the roof and only Christopher Nolan could deliver on those and more. The Dark Knight is a pitch-perfect film on a grand scale from beginning to end with not a single moment of its 2 and a half hour runtime wasted. Moviemaking does not get better than this. This is much more ambiguous film than its predecessor, leaving the big themes open to discussion, but it closely resemble those of Nolan's Following. Chaos destroys order for no other reason than to delight in the bringing down of the institution and Heath Ledger personifies this to a degree I have never seen in any other performance by any other actor. This is the stuff legends are made of and Heath's mark will forever be felt in this masterpiece. 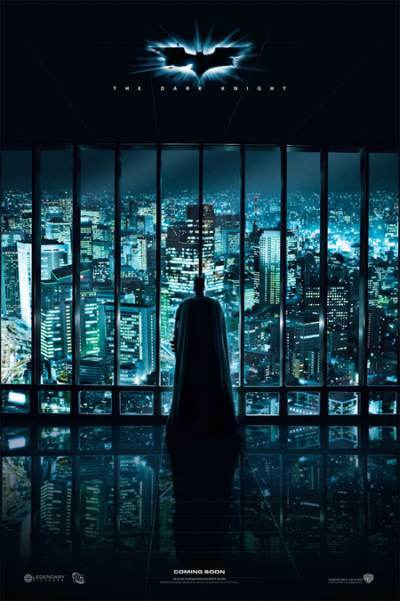 For a super hero film, Nolan delves into some dark, dark territory. Exploring how far people will go for their ideals and the limits they will go to to protect the people they love. This is a cerebral film that came out in the summer wasteland of big, dumb action and it works for every frame. The dialog is more thematic than it has ever been, and the chase sequences are straight out of a Michael Mann film. For those that know me, The Dark Knight is one of my all time favorite films and if you haven't seen it yet, you are depriving yourself of a modern day masterpiece of cinema. This is one of those films that comes along once in a great while to remind you of the spectacle and whimsy of filmmaking all while challenging you to get into the heads of some complex characters and spend some time forming your own conclusion.